Here are this week’s soccer updates. 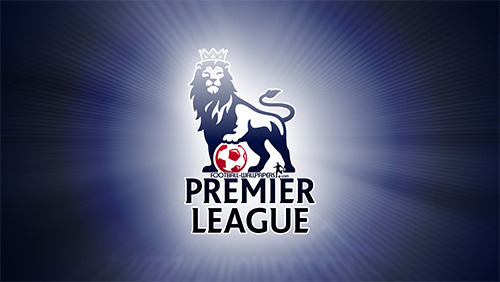 Earlier this weekend, one of the most anticipated match-ups in the Premiere League occurred. Manchester City hosted rivals Manchester United for the action packed Manchester Derby. Manchester City being undefeated in their Premiere League run so far and Manchester just edging a 2-1 win against Italian giants Juventus, both teams were ready and on form to face each other. The match was a brutal defeat for the Red Devils, losing 3-1 under the watch of club legend and old coach Sir Alex Ferguson. Manchester City dominated the whole pitch, with efficient passing and build up play, leading to the first goal in the opening ten minutes by the Spanish midfielder David Silva. United succumbed to their rivals’ possession, trying to spark quick counter attacks whenever a switch in possession occurred, but with no end product given that none of the shots troubled the keeper. Right after half time, after being completely out-classed in the first half, the Red Devils conceded another goal. A beautiful top netting strike from the Argentine striker Aguero made the game 2-0 and, as a result, made the work a lot harder for Mourinho’s men. When all hope seemed lost, and City kept possession and their well worked attacking, Romelu Lukaku won a penalty for United seconds after being subbed. Anthony Martial, keeping his goal scoring streak going, calmly put the ball in the back of the net, making the come back ever so slightly possible. The dream of a comeback was eventually crushed from a third City goal, a well constructed play which led Ilkay Gundogan to put it passed David De Gea for the last time in the 84th minute. Overall, the derby was an exciting game to witness from a City and a neutral point of view. Manchester United showcased a poor display of their football talents, and more than likely let down most of their fans in this crushing defeat. They can only work on these mistakes and come back stronger. The Netherlands hosted previous World Cup winners France this weekend for the UEFA Nations League. Both teams were in form, France being on a 15 game winning streak and the Netherlands winning 3-0 against rivals Germany, something they haven’t done since 2012. The French were favorites to win the game but failed to step up to their expectations as they lost 2-0 and were completely out-classed by their opposition. The Dutch played extremely well, showcasing well constructed attacks and well played set-pieces. The French on the other hand, missing key players, were sloppy with their passes and could not keep possession. One misplay from Steven N’Zonzi, replacing an injured Paul Pogba, led to the first goal. Thankfully French keeper Hugo Lloris made nine saves, saving the French from a humiliation. The second goal was scored by a penalty spot, with a foul conceded in the box from Spurs midfielder Moussa Sissoko in the 96th minute. Memphis Depay finished with a cheeky panenka to settle the game for his team. The win from the Netherlands means Germany will be relegated from the competition, an achievement that the team and country are most definitely proud of.